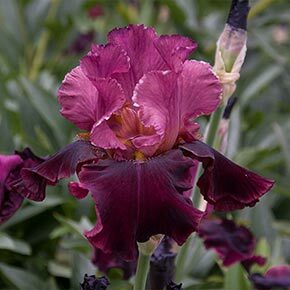 This recently introduced Iris speaks of dark intrigues and deep red passions. 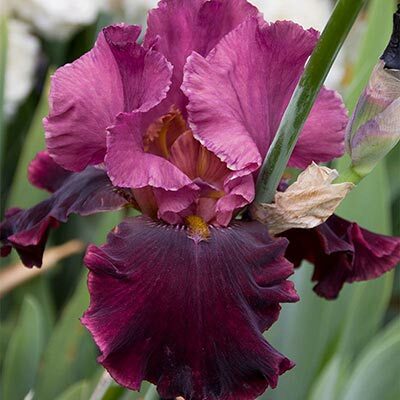 10-14 blooms per stem keep opening to the very end of the Iris season! Both the ruby standards and darker burgundy falls are luxuriously ruffled and quite large. 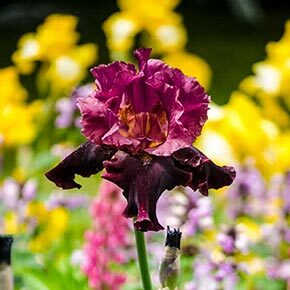 They hold their rich color and exquisite broad form even in bad weather. Blooms mid to late season on 37-39" stems. 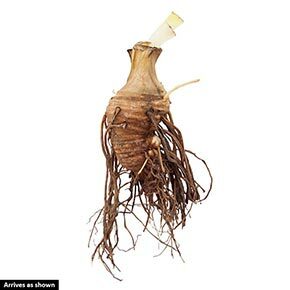 Flower Form: Flowers are fan-shaped, with three drooping petals called falls and three upright petals called standards. Foliage Type: Glaucous-green, sword-like fans of stiff upright leaves with some dying back in colder climates in winter.